Current selected tag: 'nokia'. Clear. There's a new mobile phone with a battery life that lasts for a month: Microsoft's Nokia 215, CNET reports. It costs just £19, and goes on sale in Europe, the Middle East, Africa, and Asia in the first few months of 2015. The Nokia 215 is a feature phone targeted at first-time buyers, people on a serious budget, and consumers in the developing world who want an entry-level phone at the lowest cost possible. Obviously, it's also useful for anyone who travels a lot or lives somewhere where recharging and electricity supply points are intermittent. But its extremely long-lasting battery life will be of interest to everyone else simply because it proves that batteries can be made to last longer than a day. Or at least, that phones can be made that will nurse power for an extended period of time. One of the top complaints of iPhone users is how quickly they need to be recharged. 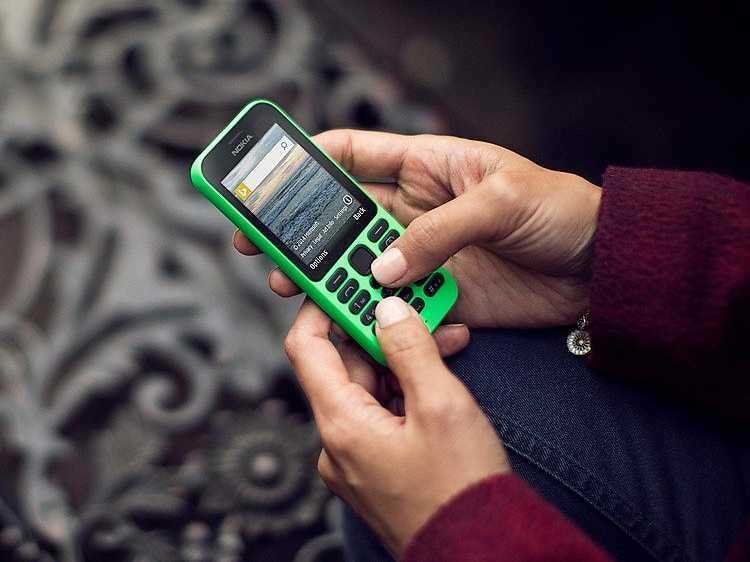 The phone runs on Nokia Series 30+ software, a platform that functions for an entire month on just one charge. Of course, the phone's functions are limited — but not without merit. It's got room for dual SIM cards, so people can operate with two functioning numbers simultaneously. Using a single SIM, the battery will keep going on standby for 29 days; the second SIM option can last 21, with up to 20 hours of talk time, 50 hours of MP3 listening, and 45 hours of listening to the phone's built-in FM radio, CNET explains. It's also got the internet. Sort of. It's been designed with web connection — though not 3G — and includes basic apps such as Microsoft's Bing search, the Opera Mini browser, MSN Weather, Twitter, and Facebook. They won't run quickly — but they all come as standard in the £19 price tag. The Nokia 215 also boasts a VGA camera and a 32MB micro SD card, a torch, and comes in bright green, black and white.